Open The matter is active, and you can create holds, run searches, and export data within it. Closed Usually when an investigation is complete, the matter is closed. Closed matters can be reopened at any time. Note: Before closing a matter, all holds associated with it need to be deleted. Deleted A matter can be deleted so that it becomes completely unavailable. A deleted matter will remain in Trash for approximately 30 days, during which time it can be restored. After that period, the matter is permanently purged. Note: Only closed matters can be deleted. The following example creates a new matter with the specified name and description. There are two views of a matter: BASIC (default) and FULL. The FULL view adds matter permissions to the BASIC view. The following example retrieves the specified matter. client.matters().get(matterId).execute(); // Returns BASIC view. service.matters().get(matterId=matter_id).execute(); // Returns BASIC view. 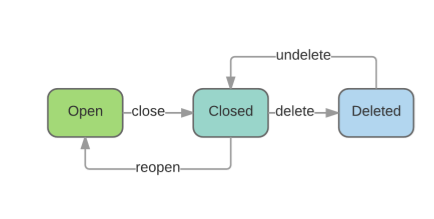 The following example shows how to list all open, closed, and deleted matters (up to the default 100 per request). The following example shows how to list all open, closed, and deleted matters over multiple requests. The following example shows how to list matters of a specified state. // Only get open matters. // Only get closed matters. // Only get deleted matters. # Only get open matters. # Only get closed matters. # Only get deleted matters. The following example updates the name and description of a matter. The following example shows how to close a matter. // If the matter still has holds, this operation will fail. The following example shows how to delete, undelete, or reopen a matter. Each matter has a permission set of who can access or edit it. You can view this by getting the FULL view of a matter. // List permissions for a matter. // Add a user to the permission set. // Remove a user from the permission set.